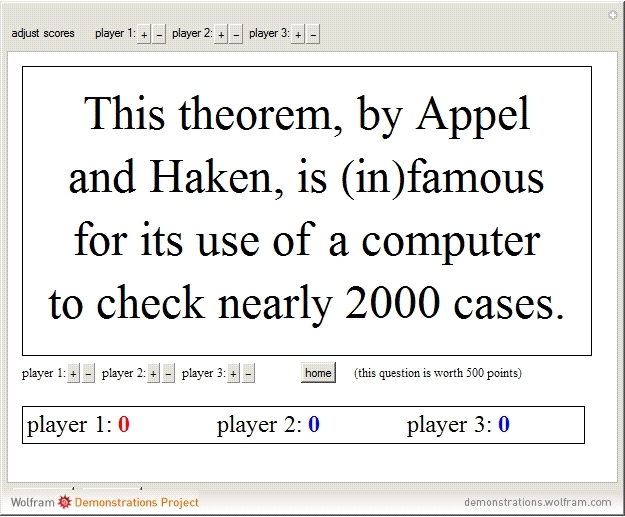 Play a mathematical trivia game similar to the trademarked game Jeopardy. 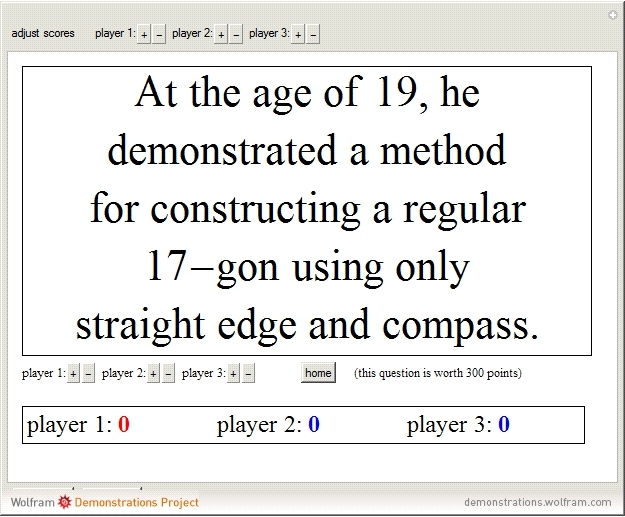 Select a topic and a point value, then press the corresponding button to see the answer. If a player provides a correct response, give the player the points by pressing the "+" button next to that player's number—you are automatically returned to the home screen; if a player provides an incorrect response, points can be deducted by pressing the "–" button. 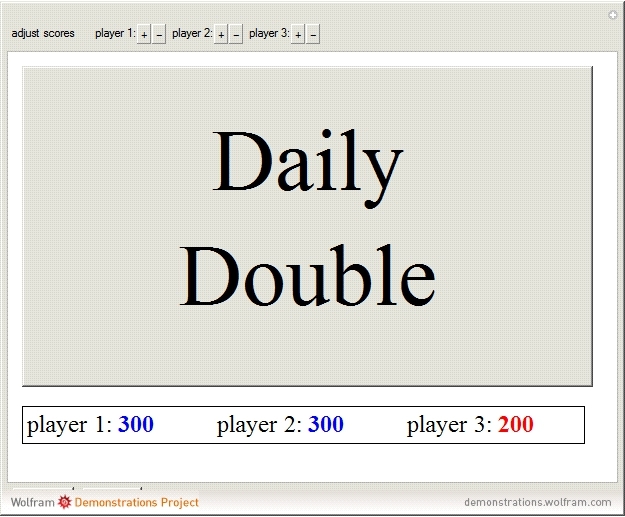 A "daily double" is included—each time the game starts it is randomly assigned to a topic and a point value of at least 300. 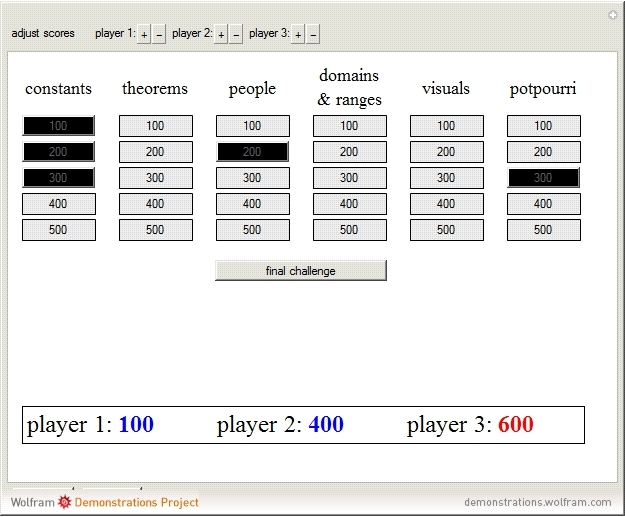 Point adjustments for the daily double and final challenge can be made using the "adjust scores" buttons at the top of the panel. Snapshot 5: When the "daily double" screen it appears, it is a large button. Press the button to proceed with the game. Obviously, the selection of topics and answers was somewhat arbitrary. 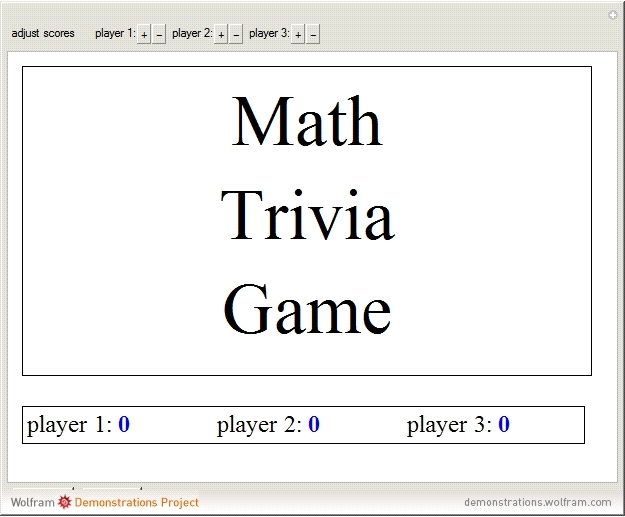 The game can easily be adapted to "calculus trivia" and the like for classroom use.